× Extend-Release Magnesium has successfully been added to the list . You will be Adding Extend-Release Magnesium to the list . 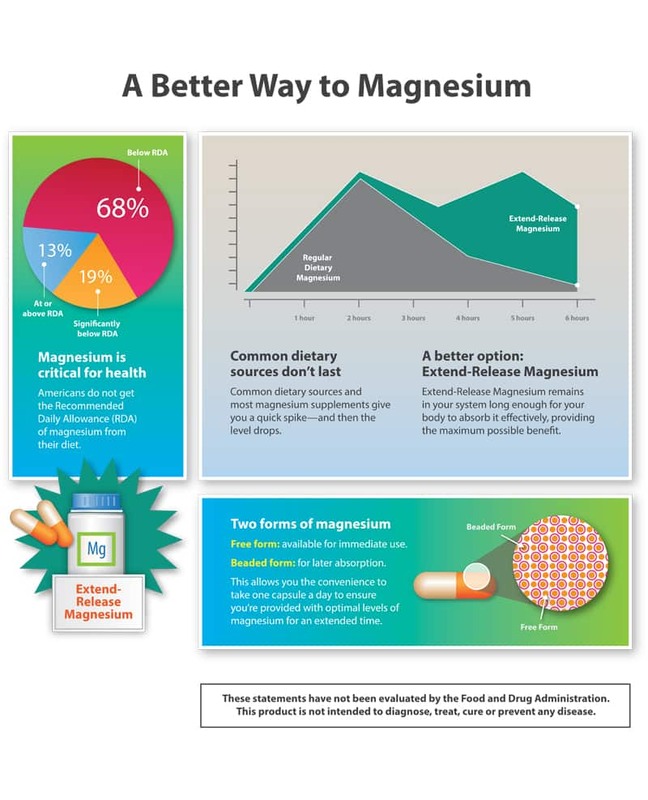 Your body needs magnesium for more than 300 essential biochemical reactions, but most of us don't get enough magnesium from dietary sources alone. Extend-Release Magnesium is formulated with magnesium oxide for extended release and magnesium citrate for immediate absorption. By combining magnesium optimized for immediate and prolonged uptake, this advanced formula provides more consistent results.